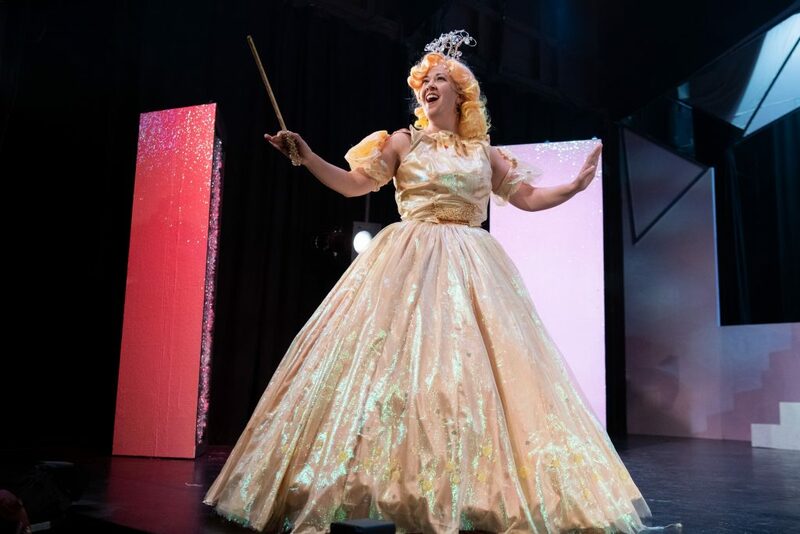 At Berkeley Playhouse, Director Lexie Lazear’s version of L. Frank Baum’s “The Wizard of Oz” includes a talented cast, well-choreographed musical numbers, and exquisite costuming. 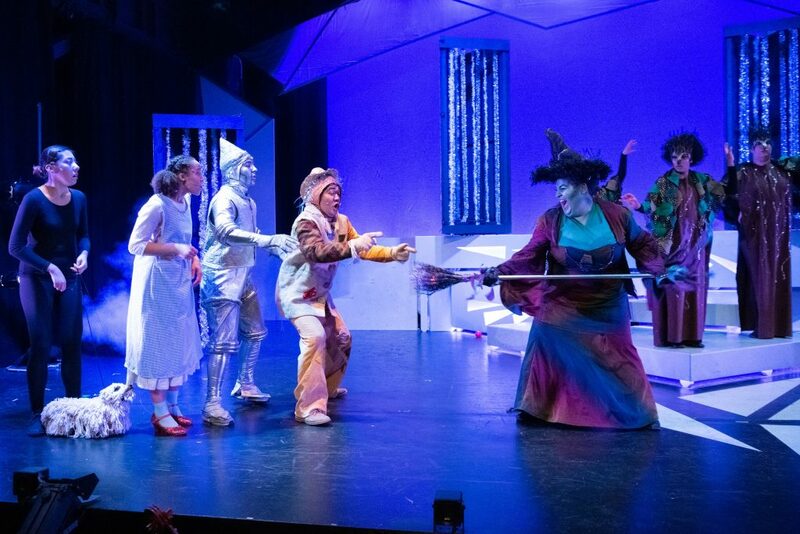 She brings together many moving parts to create a fantastical journey along the yellow brick road. The costume designers outdo themselves in the visually stunning Emerald City. Each costume is a fantastic concoction of green, yet no two costumes are the same. Everything sparkles and shimmers. Even Scarecrow (gifted Matt Ono) is re-stuffed with shimmery green “straw” when he receives his makeover before seeing the great and powerful Wizard of Oz. The costuming brings the musical number in the Emerald City to glittering green life. One of my favorite parts is the Enchanted Forest, namely because of the “trees.” The costumes of the ensemble playing the apple trees are truly spectacular. Dressed in long brown tunics resembling bark, with branches coming out of their hair, and arms acting as branches, they personify trees delightfully The trees are colorfully costumed and full of pizzazz. The whole company does a great job. From the poisoned poppies to the Winkies, they complete the picture of Oz, and make it a success. “The Jitterbug” is probably my favorite musical number; impeccably costumed in black and white, the jitterbugs sing a catchy tune while dancing the exhausting jitterbug. It’s fun and impressive. 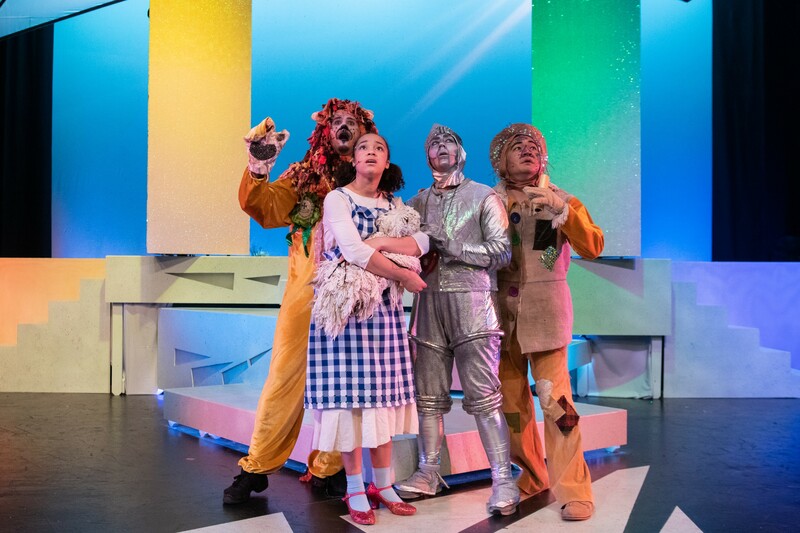 Shayla Lawler, a talented vocalist, gives us an endearingly dorky version of Dorothy that’s all her own. Elijah Jimenez wows us as the Mayor of Munchkin Land in his red sequined top hat and coattails. Charlotte Curtin becomes the adorable legal voice of Munchkin Land. The Cowardly Lion (impressive Scott Taylor-Cole) is impeccably cast, a perfect Lion. His deep voice rumbles, cautiously. At times I thought I was watching Bert Lahr, the original Cowardly Lion from the 1939 film. The delightful Matt Ono, with his warbling voice and nervous enthusiasm, makes an ideal Scarecrow. The Tin Man (talented Nic Sommerfeld) gives a solid performance. Calm, timid, and superbly costumed, Sommerfeld embodies a silver vision of the teary, prone-to-rust Tin Man. Whether playing the Wicked Witch of the West or Mrs. Gulch, Briel Pomerantz brings a breath of fresh air each time she appears. Her haughty demeanor brilliantly evokes a familiarly malevolent, yet entertaining, persona. 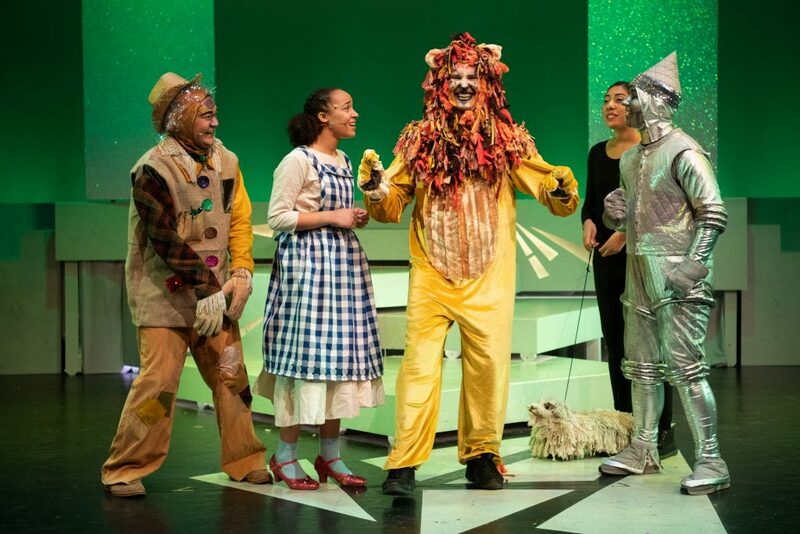 Overall, “The Wizard of Oz” musical is well-executed and fun. Highly recommended for any fan of the classic film. 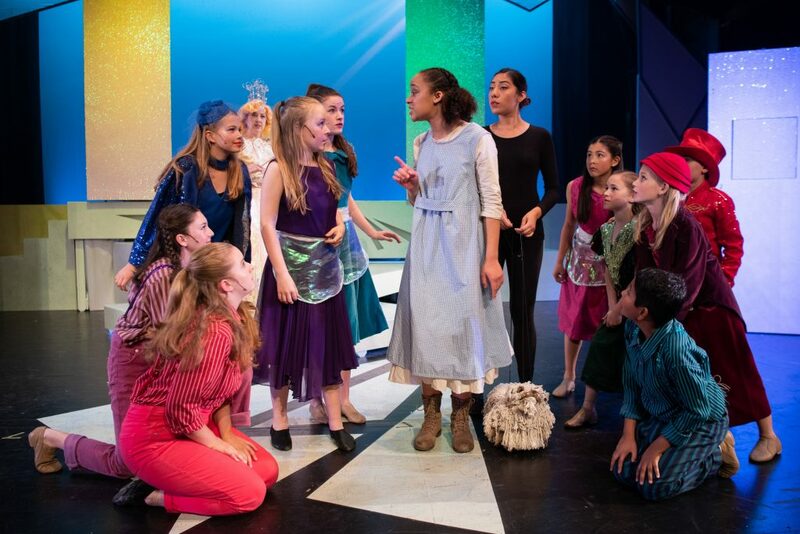 Mia Breidenbach, Scarlett Currer, Charlotte Curtin, Emma Curtin, Allison Dana, Nora Dolan, Iris Eyal, Elijah Jimenez, Jaina Manning, and Lila Muise.